On May 27, the Gallery Hotels chain inaugurated what is now their third hotel, the Hotel Honucai, located in a small fishing village in the south of the island of Mallorca, in the Còlonia de Sant Jordi. The hotel has 78 rooms and offers its customers buffet service for breakfast. All the decoration of the hotel and the furniture is created with a Mediterranean design and care has been taken to the smallest detail. For this, also had the technology of King’s Buffets for the manufacture of the buffet. 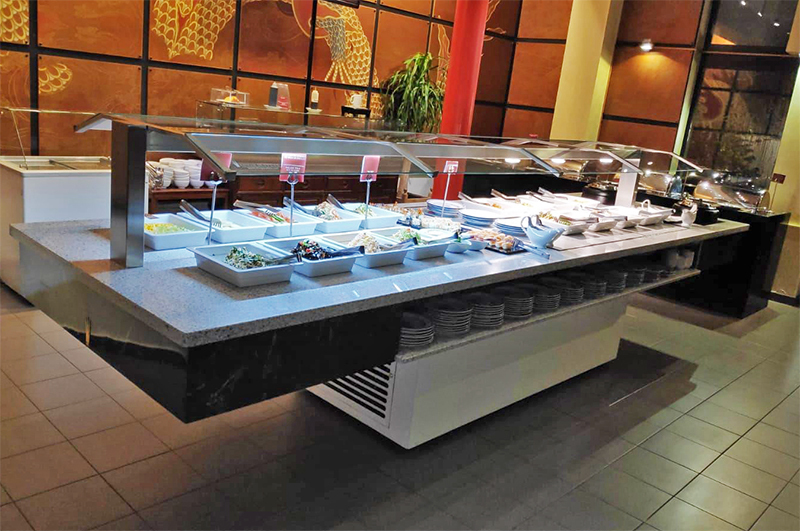 The idea was to create a very clean, polyvalent design and once the buffet service was finished, it could be useful as a sideboard integrated in the decoration of the a la carte restaurant and hide the feeling that there was an industrial machinery. So, they made their own furniture and King’s Buffets made a countertop almost 5 meters long with two freezing cold zones independently. The entire worktop is supported on a solid stainless steel structure with the motor base hung on it. All the equipment is completely sealed and with special insulation so that it does not make contact with its furniture and thus avoid the proliferation of insects and its deterioration. The chosen material has been the Neolith of the Carrara reference, with which King’s Buffets guarantees its frosty cold technology in the same way as it does with its usual granite material. Once the system is turned off, there is a completely smooth countertop, without joints, drains or recessed plates, to guarantee maximum hygiene and improve the presentation of food. The same philosophy was achieved for the recent remodeling of the Gallery Molina Lario Hotel in Malaga. 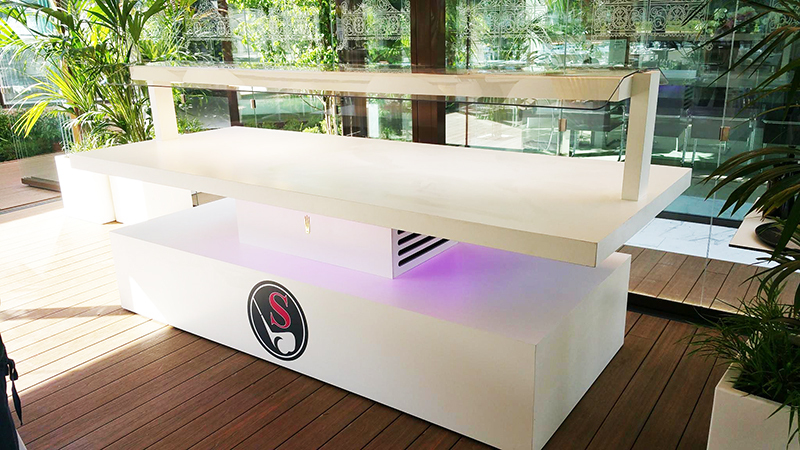 On that occasion, the buffet countertop is integrated into the new bar as the service is also versatile. 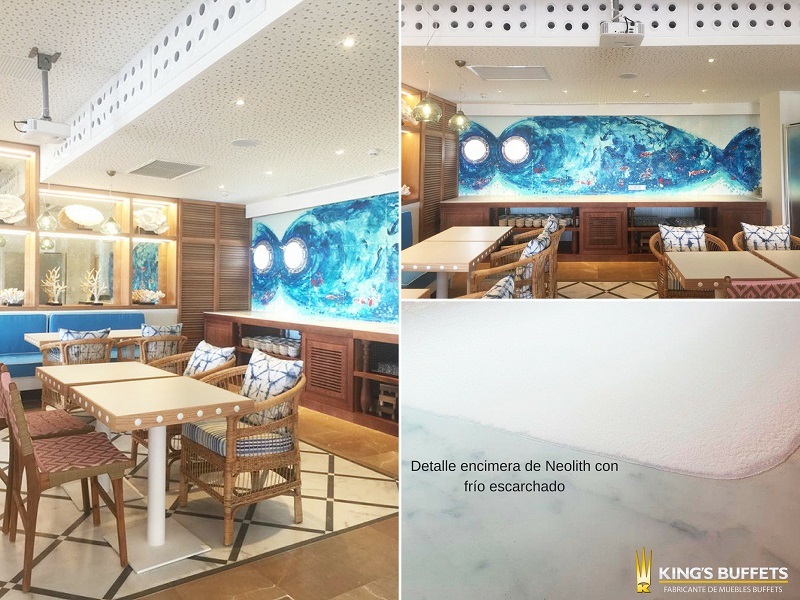 We want to thank Gallery Hotels for once again having King’s Buffets in these two new projects, as it did more than 12 years ago, for the complete facilities of breakfast buffets in their hotels in Barcelona and Malaga . 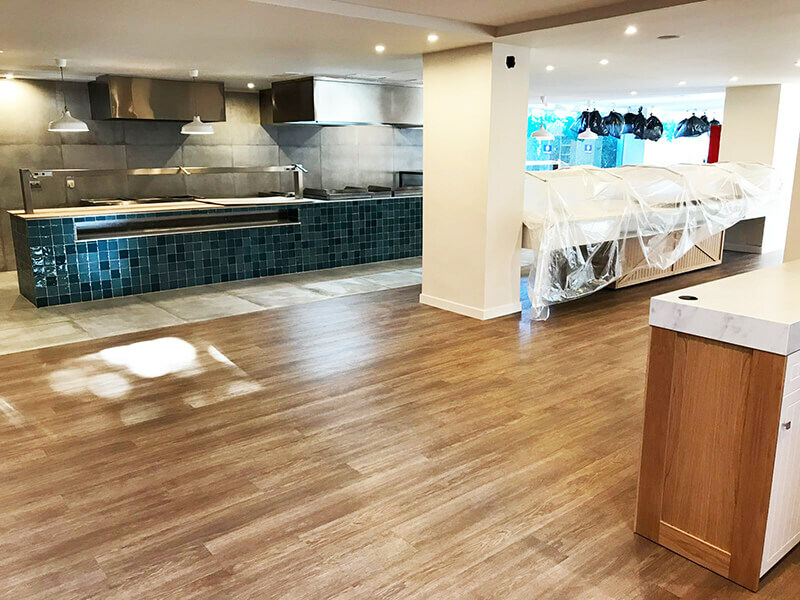 We show you some photos of the Restaurant of the new Hotel Honucai already finished and soon we will show you more with the buffet service in progress.